Quaint yet modern, stylish yet understated; the Maple, from Biringer Builders, is a wonderful combination of classic farmhouse design and contemporary comforts. It uses a large dose of wood, stone, and other natural materials, yet is furnished with vibrant, trendy selections. The homeowners of the Maple likely have a daily dilemma. Should they stay inside and enjoy the meticulously-designed interior, or should they walk out their back door and enjoy one of the most impressive patios ever built? It’s a problem many people will envy! The outside of this country-style home gives you a clear view of the large wrap-around porch that highlights the exterior. 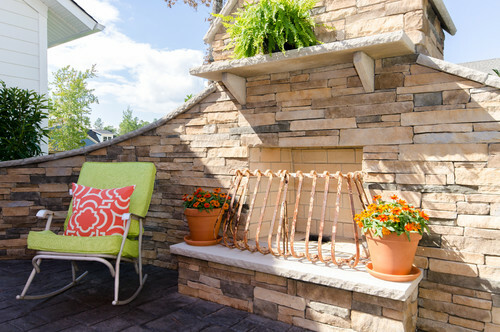 With comfortable patio furniture and plenty of green plant life, the exterior has a peaceful, fresh-air style. Inside the home, you’ll be welcomed by a comfortable and decorative living room. 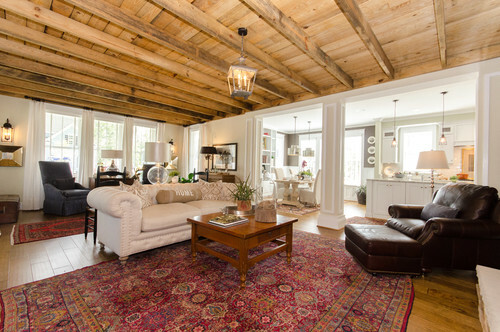 While the furniture and rug are certainly stylish, it’s the wood ceiling that makes this room an unforgettable setting. The bathroom has all the delights that you could ask for. 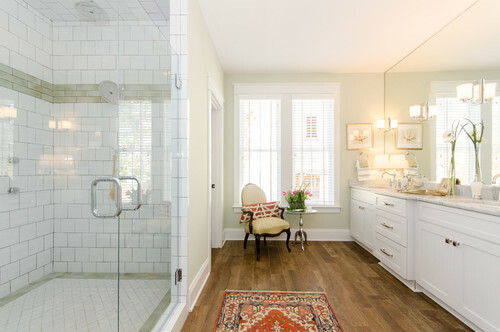 The shower has crisp, clean white tiling that is highlighted by a row of light brown brick-shaped tile. The wood flooring perfectly complements the white cabinetry and light coloring. The master bedroom will make you want to sleep well past sunrise. 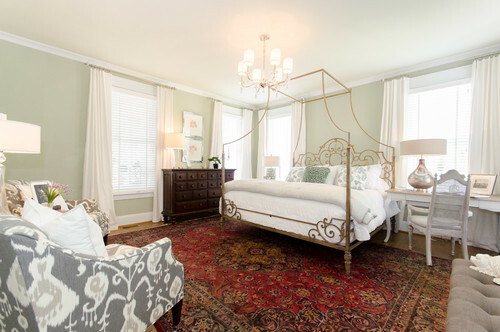 The framed bed is ornate and stylish, while the deep red carpet gives the room a vibrant color. 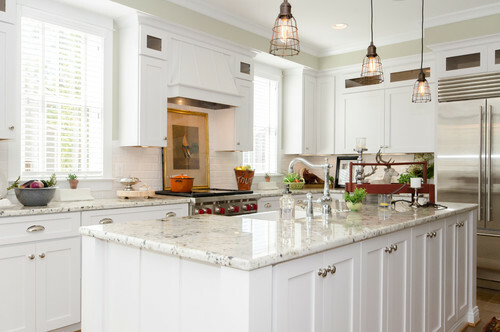 The kitchen blends modern style, such as the hanging lights, with classic farmhouse touches, including the white cabinetry and rooster painting. 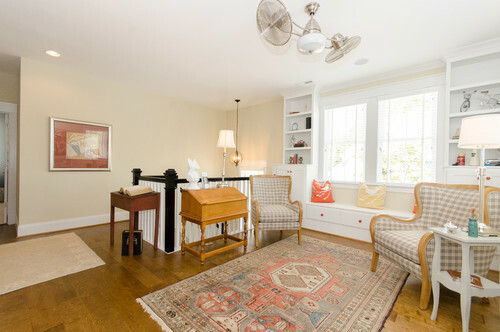 The upstairs play area is uniquely furnished yet has plenty of floor space for active, energetic children. 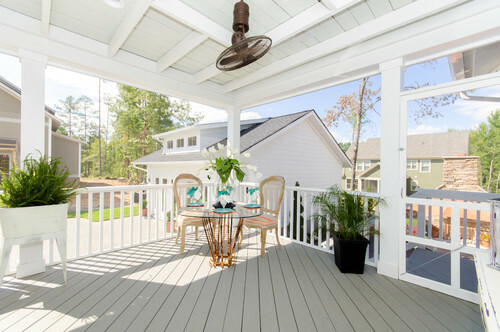 Around the side of the house, visitors will find this screened-in porch, which offers comfortable evening relaxation. Perhaps the most interesting element of the home is the rear patio. 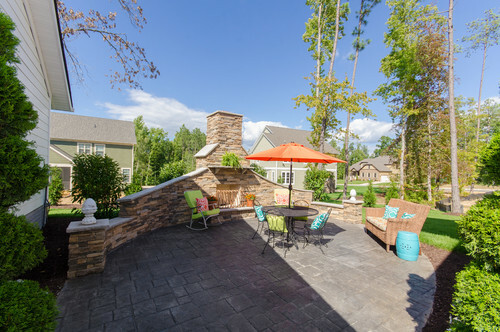 With stone pavers, a gorgeous wall, and bright furniture, the patio is a great place to spend your time. The cherry-on-top for this home is the back patio fireplace. Cool fall evenings are surely a delight thanks to this visually-stunning addition. What do you think of the Maple? Share your thoughts and join the conversation now!